Billy Graham was memorialized the same way the world came to know him: under a tent. “America’s pastor” was laid to rest March 2 in the Prayer Garden of the Billy Graham Library in Charlotte, North Carolina, following a private funeral service. Workers spent several days in the library parking lot constructing a large white tent that will accommodate 2,300 invited guests. 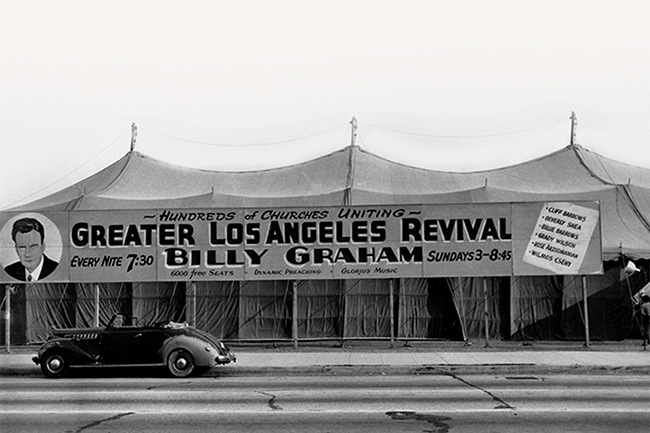 The oversized white tent served as a remembrance of “The Canvas Cathedral”—the site of the 1949 Los Angeles Crusade, on the corner of Washington Boulevard and Hill Street. This foray into Graham’s public ministry was originally scheduled for three weeks. But at the urging of the local committee to extend his time there, the crusade lasted for eight weeks. “I would learn over the next few weeks that the phenomenon of that Los Angeles tent campaign at Washington and Hill Streets would forever change the face of my ministry and my life,” Billy Graham once said. Among the 350,000 who heard the gospel during the weeks of the 1949 crusade was Olympic distance runner and World War II hero Louis Zamperini, whose story is told in the book-turned-film Unbroken. A bombardier in the Air Force, Zamperini survived a 1943 plane crash into the Pacific Ocean. He drifted at sea on a raft for 47 days, reached land at the Japanese-inhabited Marshall Islands, and was then captured. He was imprisoned and tortured for more than two years and returned home in 1945. Struggling with alcoholism and post-traumatic stress disorder—and on the brink of divorce—Zamperini attended one of Graham’s Los Angeles tent meetings in 1949 at the urging of his wife. He gave his life to Christ and never looked back, becoming an evangelist in his own right. He died July 2, 2014. Zamperini was just one of millions who heard and responded to the message of salvation Graham preached over the decades. Graham’s older son, Franklin, delivered the funeral message. Graham’s four other children—Virginia “Gigi” Graham, Anne Graham Lots, Ruth “Bunny” Graham, and Ned Graham—also gave remarks, sharing sentiments about their father as well as biblical truths. Among the notable guests were President Donald Trump; LifeWay Christian Resources CEO and President Thom S. Rainer; Bible teacher and author Beth Moore; evangelist and apologist Ravi Zacharias; author, radio host and advocate for the disabled Joni Eareckson Tada; Senator Ted Cruz; U.N. Ambassador Nikki Haley; and Focus on the Family founder James Dobson. Following the service, Graham was buried on the grounds of the library next to his wife, Ruth, during a small family interment service led by Dr. Don wilton and Dr. David Bruce. Wilton, who leads First Baptist Church of Spartanburg, South Carolina, was Graham’s pastor and close friend. Bruce served for more than two decades as Graham’s executive assistant. 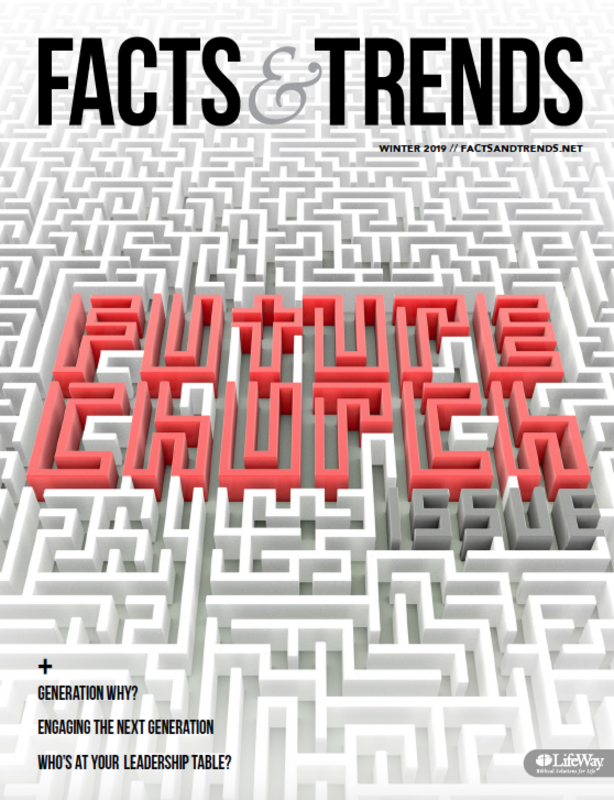 Millennials: Who Is Billy Graham?